NO. 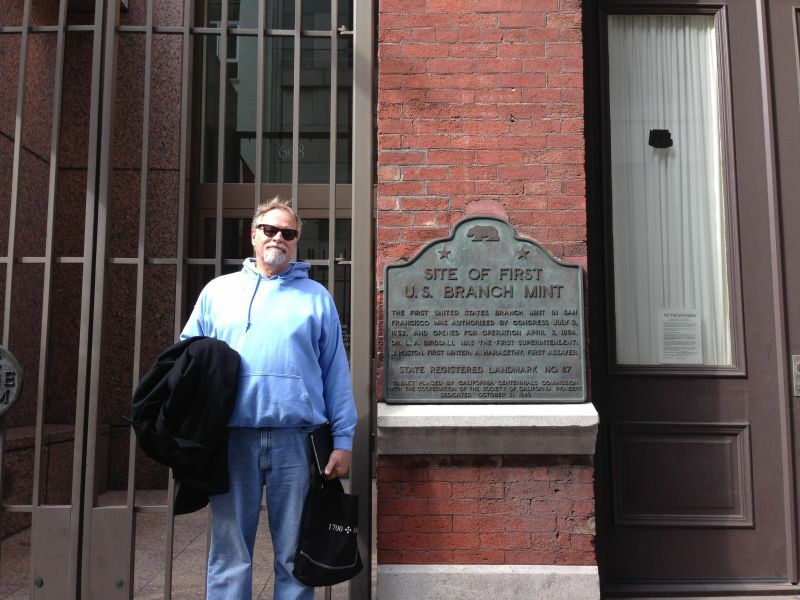 87 SITE OF FIRST U.S. 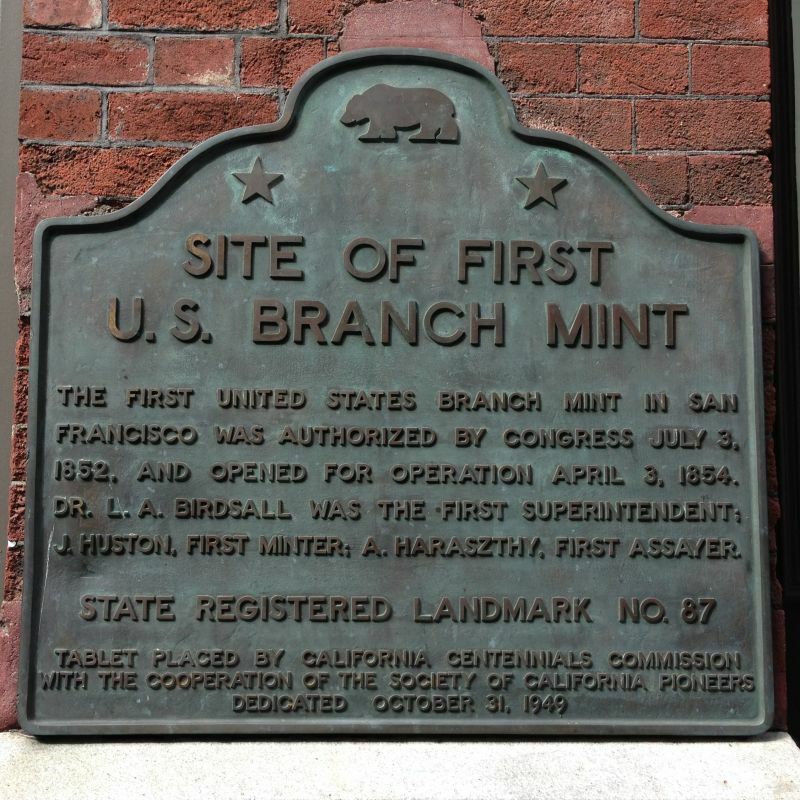 BRANCH MINT IN CALIFORNIA - The first United States branch mint in San Francisco was authorized by Congress July 3, 1852 and opened for operation April 3, 1854. Dr. L. A. Birdsall was the first superintendent, J. Huston, first minter, and A. Haraszthy, first assayer.